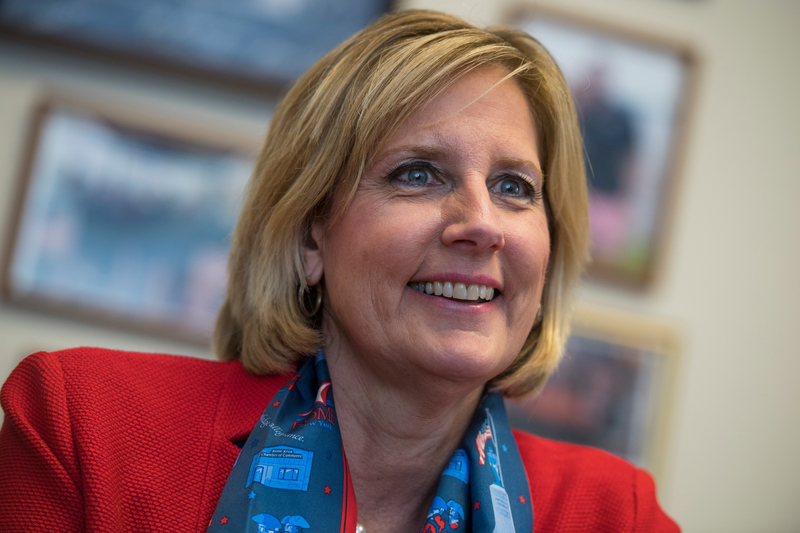 Rep. Claudia Tenney, 57, a New York Republican, talks about the media, riding motorcycles with Rex Tillerson, and getting death threats after the shootings at the Republican baseball practice. Q: What’s the most surprising thing about Congress so far? A: The number of really amazing people that serve in Congress. You hear from the media … you’re going to be working with all these terrible people, but there are actually so many great people. My freshman class is outstanding. On both sides, we have amazing people. There are great people throughout Congress. There are some who aren’t. I really love that we did our commitment to civility, and we all kind of stuck together. We stick to it. We’re all good friends. Q: What unique perspective does your background in journalism bring to your time in Congress? A: I think what it does is highlight my view of what the news media is doing. I know what it’s like to run our family business. We had a weekly … so we were the alternative to the daily. I did a lot of it myself because it was a small business. I would go to all the events — I would run out, take the notes, bring my recorder, take pictures. We were always trying to be as neutral as we could be, always neutral. And then we had opinion, or I’d do an editorial. I know the challenge of having hundreds of press releases and going to the events myself and making decisions about what makes the newspaper . Q: You enjoy riding your motorcycle. Is it here with you in D.C.? A: No, I don’t have it here. Where would I put it? It’s fun. … I don’t really have the time to ride horses anymore, [but] I would say it’s very similar, that same sort of freedom of riding a horse, riding a motorcycle. A horse is not as reliable as a motorcycle, but it’s just fun to go out in the countryside with my friends and enjoy a beautiful afternoon. I rode in Rolling Thunder last year, and I saw [former] Secretary of State Rex Tillerson, who rode with us. Q: Your son is in the military. What perspective does that give you? A: As a Marine, he tells me a lot of what’s going on and things that I can’t really disclose, but it’s interesting to hear his perspective about how the military works and a lot of the different aspects, which is helpful. When he was overseas, he was in a pretty safe place. But you do get a feel — and just being on some of the CODELs I’ve been on — how hard it is to be away from family. It was tough. Q: What has been the most challenging day for you in Congress so far? A: The day that Steve Scalise got shot. I was on the congressional softball team, the women’s team, and we had to practice the next day. We didn’t have security, so they agreed to give us security. Then we all stuck together. We got there to the field. We wanted to make sure we showed up. Because I got a death threat right after Scalise, and other death threats to my office, it was just concerning to us. I couldn’t believe the level of angst and anger. Last book read: “Israel” by Daniel Gordis. Cats or dogs: Both. Horses, cats and dogs. If you could have dinner with one person, living or dead: Gandhi or Sister Teresa. Closest friend across the aisle: Reps. Lisa Blunt Rochester, Juan Vargas and Vicente Gonzalez.